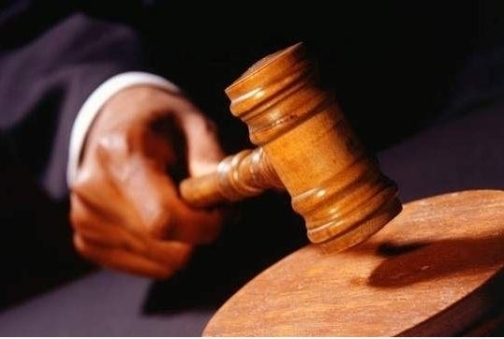 Barbados Today:- A Jamaican man has been remanded to HMP Dodds until September 6 after admitting to injuring a Barbadian man who was intimate with his wife. Alex Emanuel Golding, who resides at Watkins Alley, Suttle Street, St Michael, admitted before Magistrate Douglas Frederick today to causing serious bodily harm to Kevin Thompson on August 28. According to Station Sergeant Samuel Hinds the two men rent apartments at the aforementioned address. However, a dispute erupted on Monday after Golding, who is in Barbados for athletic training, discovered that Thompson and his wife were involved in an intimate relationship. In fact, Golding immediately went into a “fit of rage” and took up a shovel which he used to hit Thompson in the ear and head. He then walked into the police station with the weapon and handed it over to police. “I went to he [Thompson] and say, ‘let’s talk man to man’. I asked he and he say, ‘no’ . . . but he then said, ‘yes’. I asked he how many times and he say, ‘four times’. I asked: ‘You used a condom?’ Him say ‘yes’,” Golding explained, adding that, “I call my wife and confront her and we in an argument and this fella [Thompson] come and grab me up by the throat. He was then given a chance to give his side of the story. The complainant disclosed that he came home from work and was brushing his teeth when Golding approached him. “She didn’t have no money to pay the rent and we became friends and became intimate . . . . He [Golding] turned and hit me with a shovel. I never touch the man. I went to the doctor and I get 13 stitches,” Thompson said. In response, the magistrate pointedly told Thompson that he had crossed a line and was wrong. The issue of compensation then came up and Thompson said he wanted $5,000 but Golding said he could not foot the bill in one payment as he was not working and was an athlete training here. He further disclosed that his apartment was burglarized on the night of the incident and that “all my money and stuff was stolen”. He suggested that he could pay $200 every two weeks until the amount was settled, but Thompson refused the offer telling the magistrate that Golding could leave the country. The complainant said he would accept $3,000, but Golding had no one to pay the amount on his behalf.